Ditching animal products does not only make our furry friends happier. It also reduces your carbon footprint. But not all seemingly “vegan” products are automatically eco-friendly. When you buy vegan shoes, you should pay attention to non-synthetic materials and glues and dyes that don’t derive from animals and are kind to our planet. 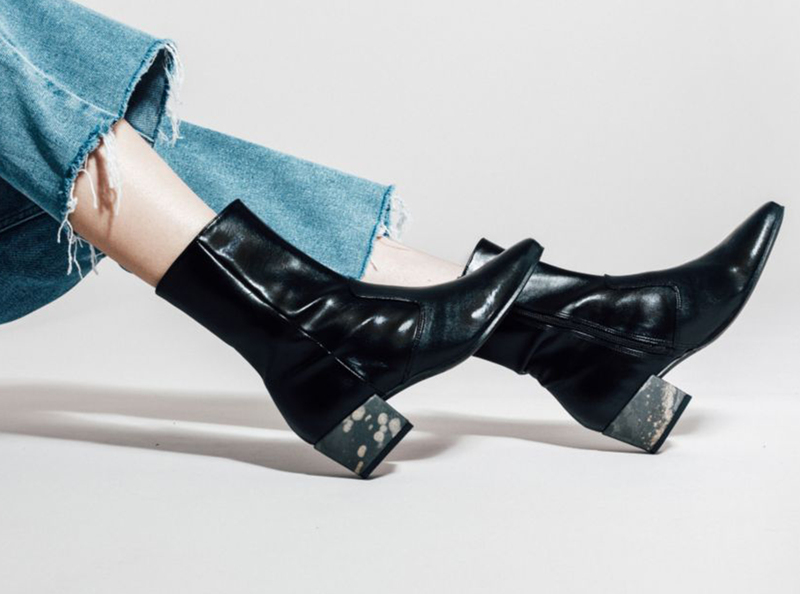 To spare you some time, we searched the Internet for you and found these 14 stylish shoe brands with vegan shoes that change the world, step by step. If you go vegan, walk vegan! It was a pair of lettuce green sandals that inspired founder Mireia to create her own shoe brand. Mireia’s creations are designed in Barcelona and produced in Alicante (Spain). They prove that you don’t need to use animals to look fashionable. 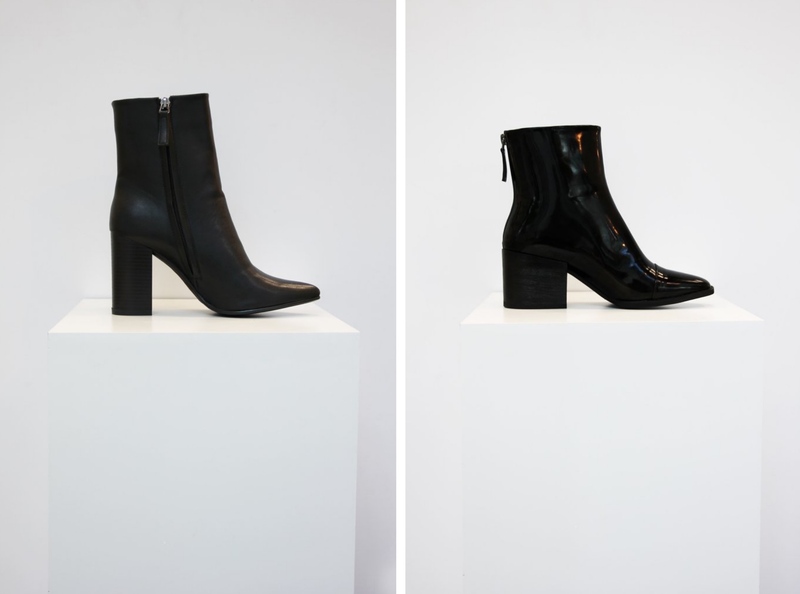 Simply combine their vegan ankle boots to jeans, dresses or a miniskirt and you are ready to go. We mean, look at these Eire Booties 😍 ! 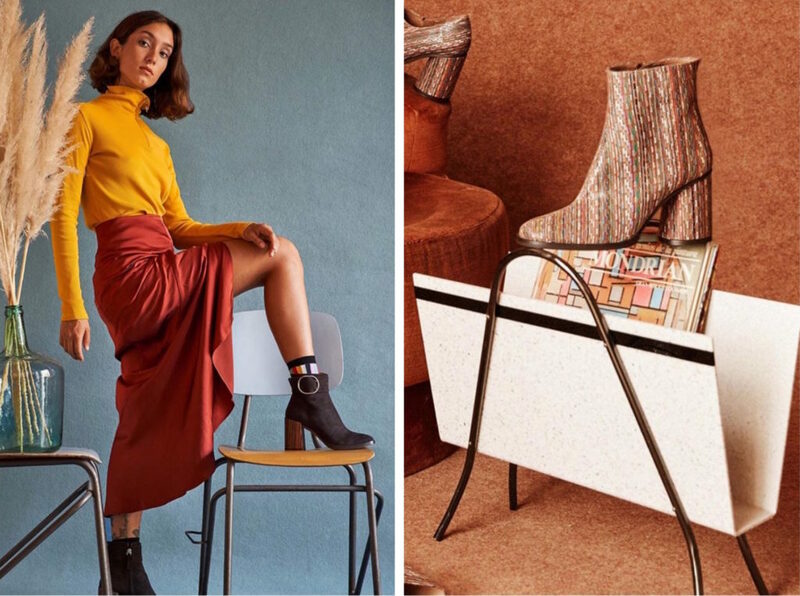 The materials of the PETA-approved shoes range from wood, breathable and antibacterial vegan materials to vegan suede & snake-effect faux leather. After opening the first vegan restaurant in the Philippines, founder Bianca Moran started to design animal-friendly shoes in Los Angeles. Her mission is to inspire others by making sustainable footwear stylish and accessible. Susi Studio uses eco-friendly natural materials and faux leather from recycled plastic bottles. Furthermore, each pair is fairly produced in small factories in Portugal and Hong Kong which are owned and operated entirely by women. Yeees. 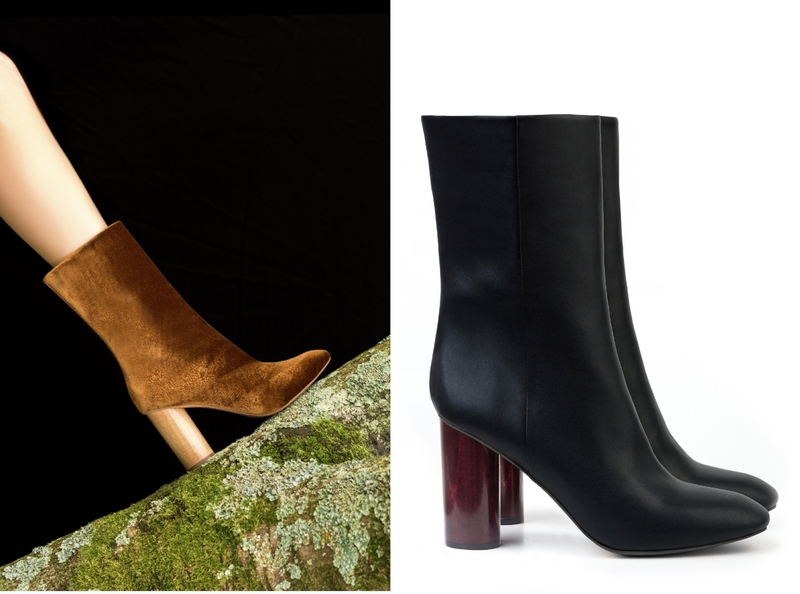 Sydney Brown offers luxurious vegan shoes ranging from ankle boots, ballerinas (we love the V-Flat Iridescent) and sneakers for conscious women and men. To name just a few of their environmentally- and animal-friendly materials: microfiber derived from recycled plastic bottles, cork, wood, and natural rubber latex. Sydney Brown also works with a factory near Porto, Portugal, which is committed to sustainability, high performance, and new technology constructions. No animals, no pain. Bahatika is a PETA-approved shoe brand based in Germany. So if you like shiny metallic sneakers, stylish mules, pretty sandals & more you are totally right here. All shoes are ethically produced in Spain and Italy. They feature vegan eco-leather, vegan suede, and more sustainable materials. For the inner linings, they mainly use non-allergic, antibacterial, breathable microfiber material which is mainly 100% free from toxic substances. 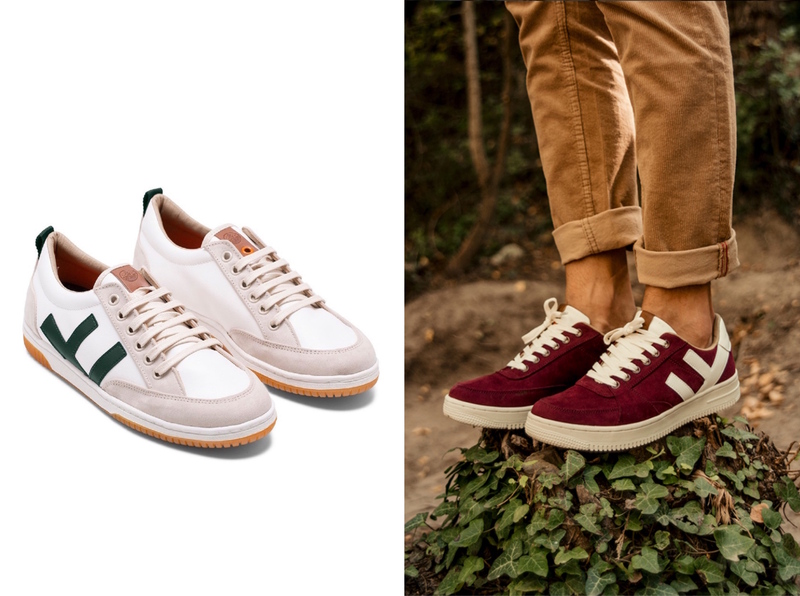 Committed to protecting the environment, the Spanish sneaker brand plants 2 trees for every pair you buy. To this day, they have planted around 55 000 trees. – That’s a pretty decent amount, right? And there are many more to come. But Flamingos’Life also cares about garbage in the ocean. So with every purchase made with the Wimbledon Collection (marked with a 🌊instead of a 🌲symbol in their online shop), you contribute to Clean The Pacific Ocean. Some shoes are made with recycled water bottles. Check out their animal-free & skin-friendly sneakers for boys and girls. Perfect for skateboarding or comfortable walks in the city and nature. 100% made in Spain. And 100% PETA-approved, of course. The avant-garde shoes from Cémélé (some of them are unisex!) are designed by Coline Burckel in Paris. They use no plastic but almost only biodegradable materials such as pure rubber milk for the soles, metal zippers or vegan wax to make their shoes waterproof. Their brand signature is their soH wood material which has a unique aesthetic and comes in different shades. All components of each pair come from Europe and are manufactured in their workshop in Spain. Strong designs with strong values! Soon to come: exquisite derbies! Trendy for girls & boys! Bourgeois Boheme from London is one of the most established vegan footwear brands. 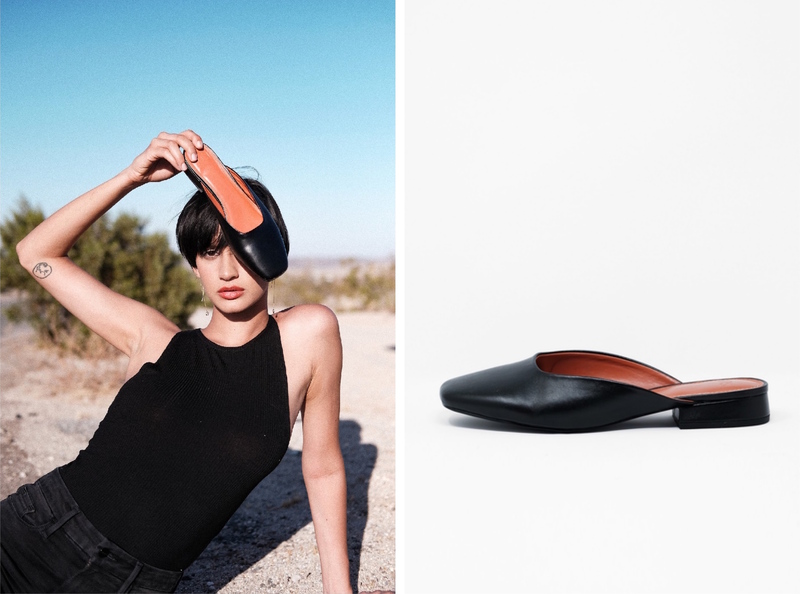 According to founder and long-term vegan Alicia Lai, “a good vegan shoe should be about more than just excluding animal materials.” Style, quality, durability, and eco-friendliness are therefore just as important in the making of a BB shoe. Their unique asymmetrical designs and comfortable fit have convinced celebs such as Emma Watson, Natalie Portman, Bryan Adams, and Torrey DeVitto, who are now self-proclaimed BB fans. All shoes are handmade, using innovative animal leather alternatives like Mycro©, Piñatex™ or cork. Handcrafted in Portugal in small batches, these unisex canvas sneakers come in 2 subtle colors, Matcha Mint & Sea Salt. They are super comfortable, lightweight, durable and you can literally wear them with anything. Their upper material uses GOTS-certified organic cotton with a durable natural rubber sole and a 100% breathable microfiber interlining. Great on warmer days in spring & summer! Collection & Co’s PETA-approved shoes are made of no-animal leathers and a variety of up-cycled and eco-friendly materials. We especially love their Piñatex collection, a by-product of the pineapple industry. Among their ankle boots, sandals and high heels, their collection boasts two different unisex sneakers. Collection & Co manufactures only limited quantities in a small factory in Greece. What Toms founder Blake Mycoskie started in Venice Beach Los Angeles in 2006, is more than just a shoe brand. The company helps improve lives in over 70 countries in the world by providing clean water, health, education and more. We personally love their variety of animal-friendly and PETA-approved footwear styles. And don’t forget: with every pair you get, a new pair of Toms shoes will be provided to a child in need. Worldwide more than 8 million tons of plastic are dumped into our oceans every year. 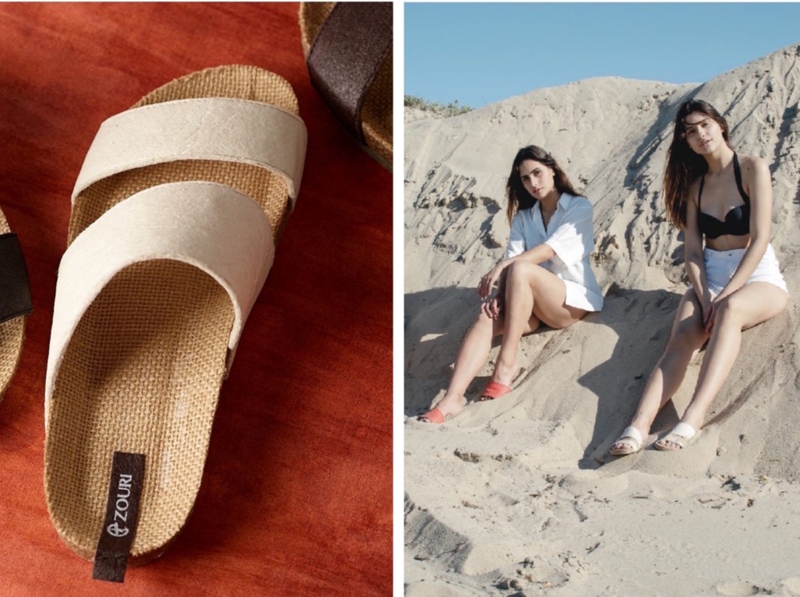 For this reason, the eco-vegan footwear brand makes their sandals out of plastic waste which they are collecting from the ocean. With each pair, Zouri upcycles about 6 plastic water bottles. Making the world a better place by buying new shoes, wasn’t that always our dream? No more fashion victims, please. NYC-based designer and founder Francisca Pineda thinks that no-one should be exploited by the fashion industry. Simply because animals, the planet, the workers, and you deserve better. Above all, the animal-free company Bhava believes that it’s not necessary to use leather for premium footwear. From organic cotton to hand-painted embossed cork, and premium recycled microfibers – each pair uses eco-friendly materials. Cool: all styles come with repairable soles. The vegan sneakers brand from Prague believes in hemp. Why? Because the natural fiber requires 50% less water and 95% fewer agrochemicals to grow than cotton. It is also antimicrobial and antiseptic, which keeps your feet and skin fresh. 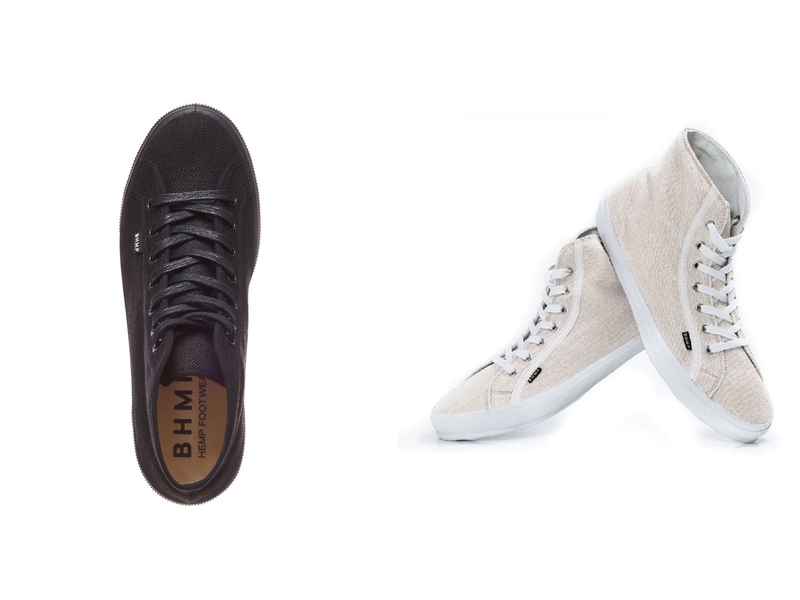 For these reasons, their iconic Bohempia sneakers are entirely made from hemp (and gum rubber for the soles). Super comfy, super stylish and super PETA-approved. Produced in the Czech Republic. For conscious men and women. Organic, vegan and bonito: Maria and her four-legged friend Ringo founded the vegan footwear label out of love for nature, animals, and people. 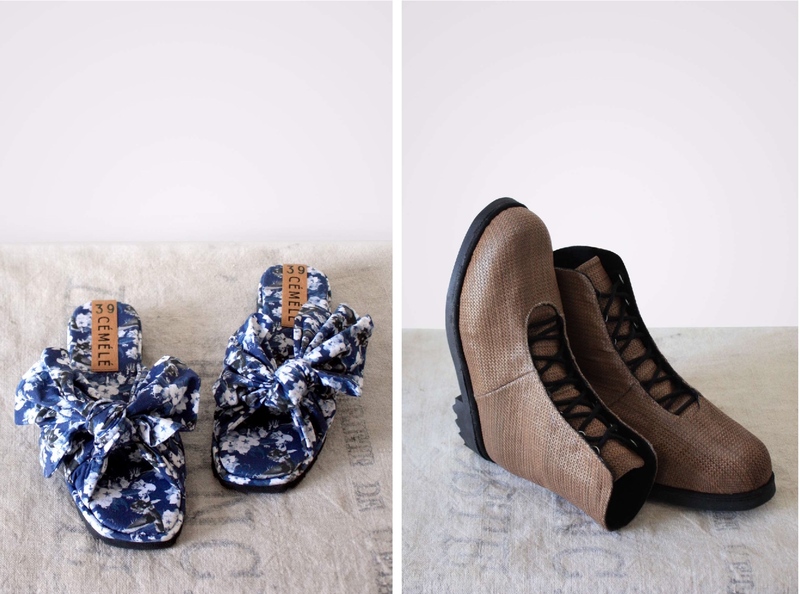 Slowers offers cork wedge sandals (we love them! ), espadrilles and many more shoes for women and men. They produce ethically and don’t use any animal materials (PETA-approved). Instead of leather, Slowers uses GOTS-certified organic cotton, linen, hemp, natural cork, and other natural materials. SPONSORED CONTENT – This article features brands that support us with a budget. This way we give them the opportunity to be seen by our readers and potential customers. We believe in supporting brands that are moving towards a more sustainable future.